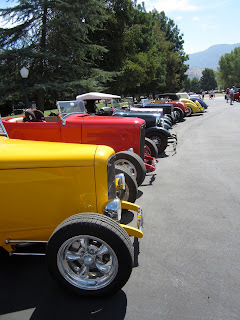 Friday morning I joined my father for the 47th Annual Roadster Round Up. 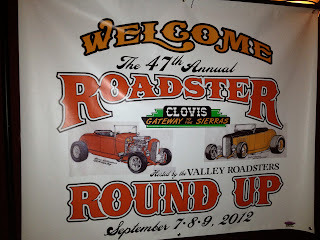 The event was held in Clovis, Ca this year. 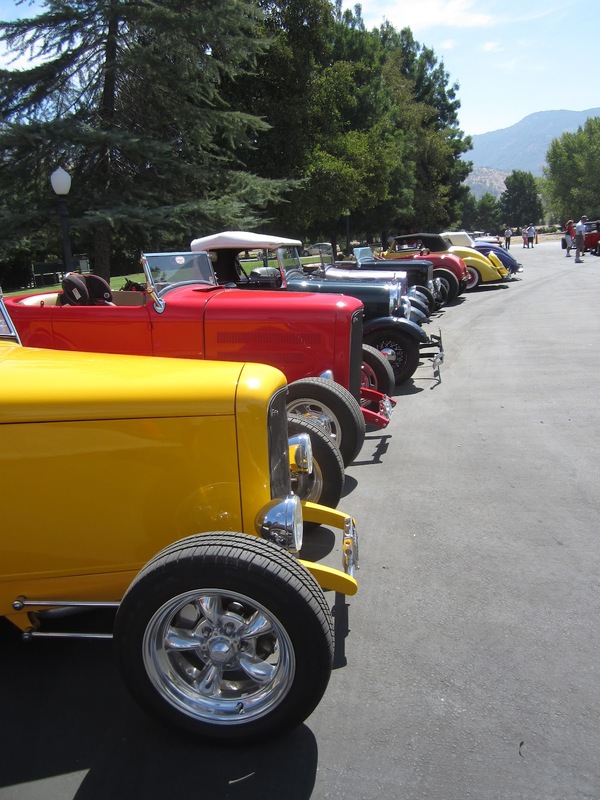 The annual event in casual weekend get together for a handful of California roadster clubs. Since my father is a member of the L.A. Roadsters club I cruised up highway 99 with him in his 1932 Ford for the event. Our first stop was the 24th Street Cafe in Bakersfield, Ca. 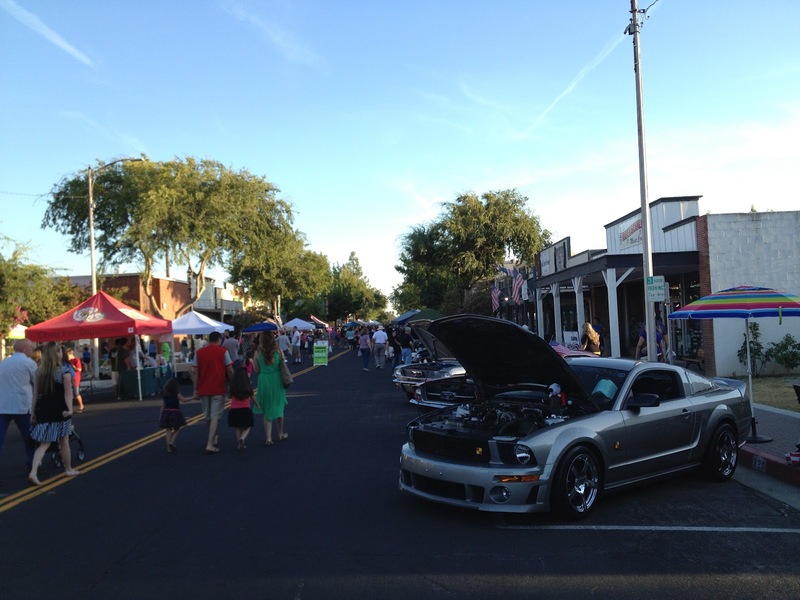 It is one of our favorite places to have breakfast when we are in town for car shows. After a quick bite, we got back on the road. We cruised up to the show with our good friends Rick and Johnny. You will see Rick's 1934 Ford in a few of the photos from the weekend. 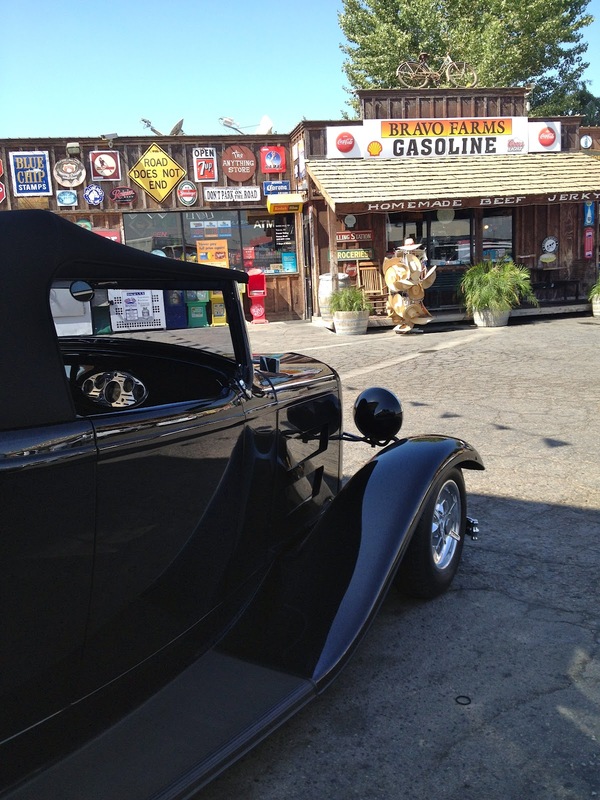 Our next stop was at Bravo Farms in Traver, Ca for some fuel. I had never stopped at Bravo Farms, but it was a pretty cool place to stop for gas. 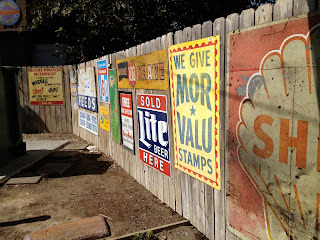 Between all the old signs, antiques, and cheese factory, you could tell it has been a roadside attraction for many years. We didn't have time to have a meal or watch the staff make cheese, but we did have a few minutes to take some photos of the cars out back. I was able to take a few photo collages for the California Car Cover Instagram photo sharing feed. I thought this was a funny moment. Here is my father, Jim, in the front talking to my mother when we arrived in Clovis. Rick is behind him talking to his wife. They were unaware that they were standing in the same position. 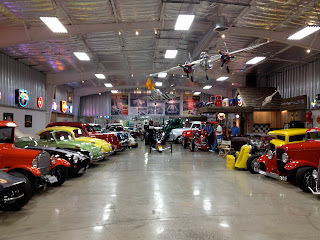 In the afternoon a few of us drove over to the car collection of Richard Peters. 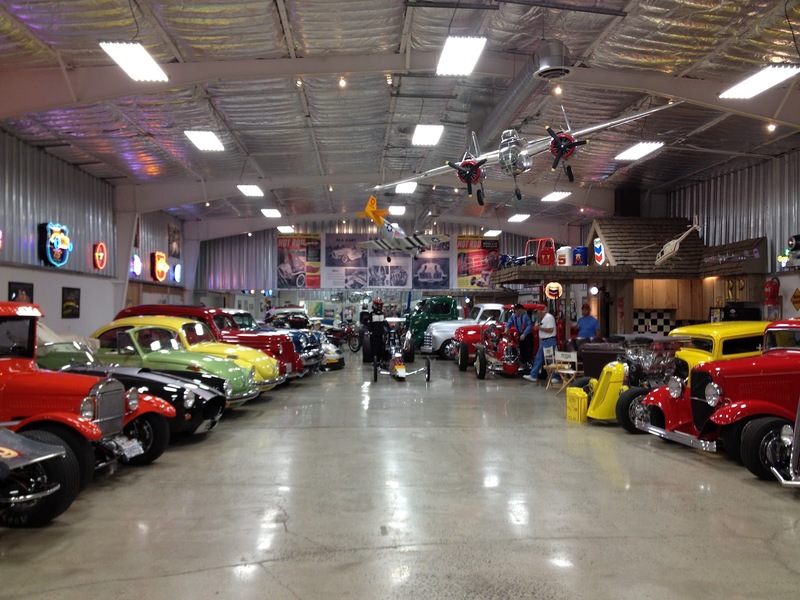 Richard has a great collection of cars and we were thankful that he let us tour the shop. He was the original owner of the famous Autorama car, the Ala Kart. After dinner on Friday night in Old Town Clovis, we walked through the weekly Farmer's Market. 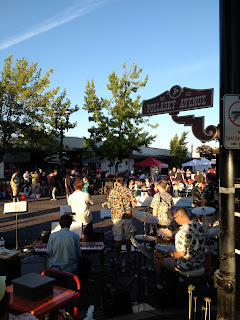 Evidently, this is were all the local residents go on Friday night, because the streets were packed with people. There was live music all night long, plus plenty of local farmers and businesses on hand. We checked out some of the antique shops and food vendors before calling it a night. The Saturday morning it was off to the Wonder Valley Resort. All people attending the event met up in the morning and drove out to the resort together. It was a chance to meet and greet with all the club members. After a luncheon with all the fellow club members it was time to drive back to Old Town. On the way back we stopped at the Simonian Farms. This farm and fruit stand has been in business since 1901. Besides fruit, the fruit stand has a collection of antique bicycles and pedals cars on display that the family has collected through the years. 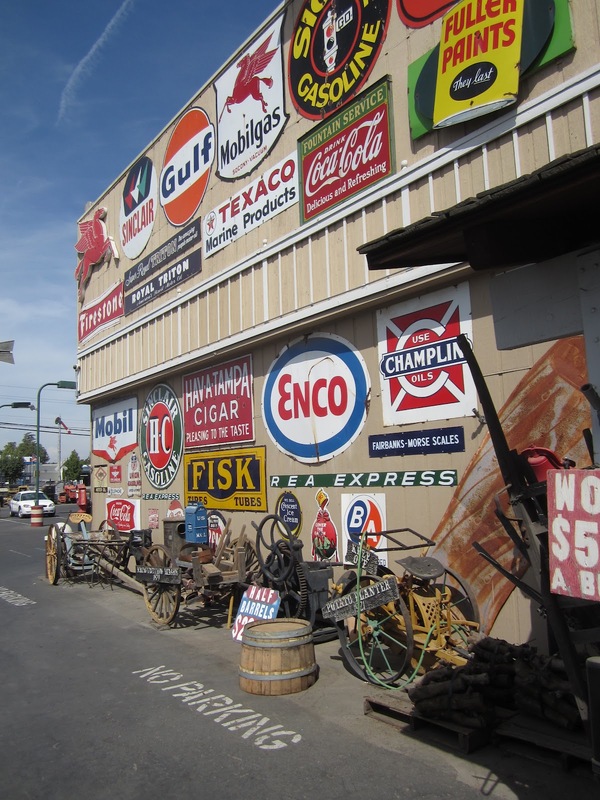 They also recently opened a new building that recreates an old western town with a general store and bar. Saturday night the host club, the Valley Roadsters, put on a nice dinner for all the club members. Everyone had a great time at the event. After dessert at a local ice cream parlor with various people from the car club we called it a night before heading back to Los Angeles first thing Sunday morning. 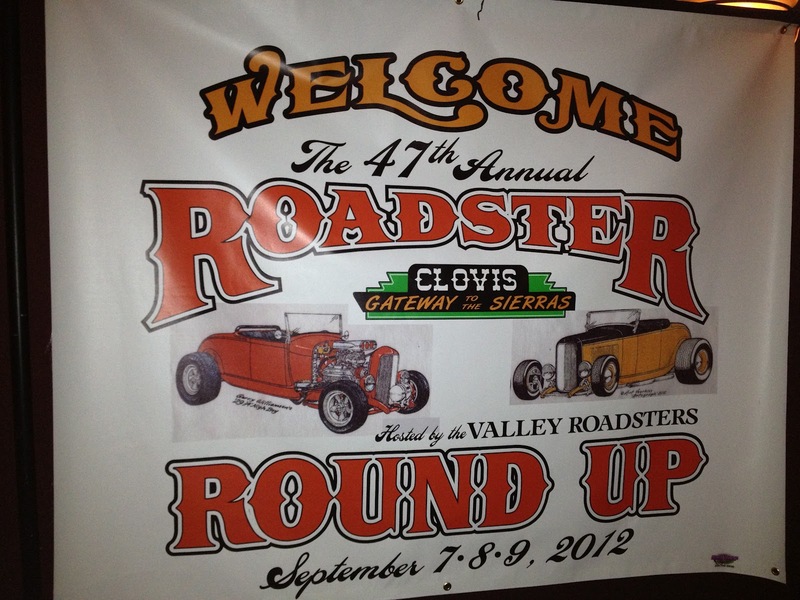 My father and I had a great time with all of our old friends and new ones at the Roadster Round Up. 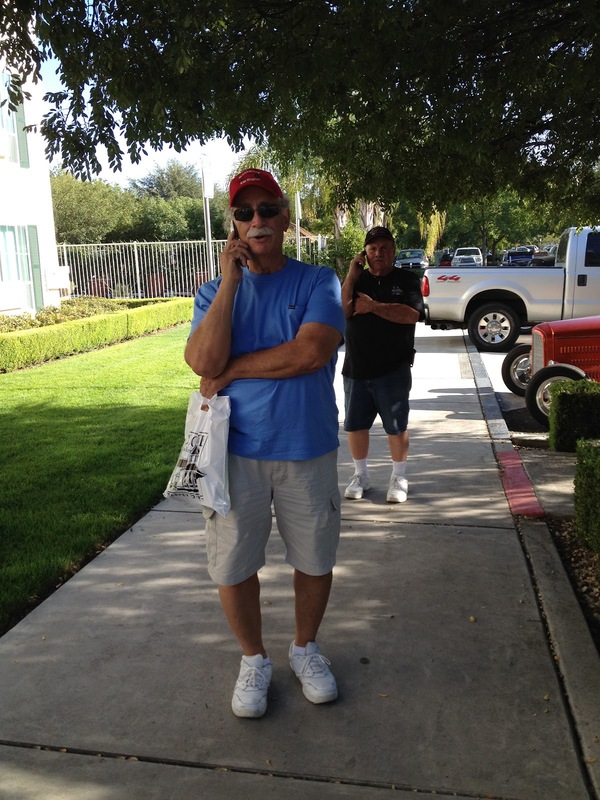 Check back next week for coverage from our 4th Annual Parts Exchange and Parking Lot Sale at California Car Cover.